I have built a formidable collection of travel books over the years. Many of them still lie on the shelf awaiting their turn. Sometimes, driven by pangs of guilt at having accumulated so many, yet read so few, I take them out, flip through fondly and return to their place. I realize that it is another form of addiction or obsessive compulsion. Step into a book store and all of a sudden I’m seized by this uncontrollable urge to buy, buy and buy! If there is a sale, then I’m on rampage. Off late I have been able to reign in this impulse somewhat. Still my brain cells buzz every time I pass by Landmark, Om Books, Reliance Time Out and Crossword. To return to where we started, my affinity for travel books began with Bruce Chatwin‘s “In Patagonia”. Once the ball got rolling, I went on to read Paul Theroux followed by Eric Newby, Michael Palin, Tim McIntosh Smith, Colin Thubron, V S Naipaul, Wifred Thesiger, Robert Byron, Peter Mathiessen, Pico Iyer, the list goes on and on. 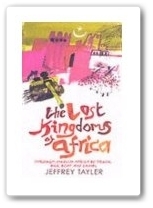 Jeffrey Tayler’s “The Lost Kingdoms of Africa” was the last one I read. I had never heard of the author before. He did not figure in the travel writer’s hall of fame. I had picked the book during a discount sale at Landmark. But, once started, I was hooked. “Lost Kingdoms” is one of the most empathetic travelogues I have ever read. It is shorn of the high brow, sardonic spectator attitude easily discernible in Paul Theroux and V S Naipaul. The book is a fervent account of Tayler’s journey through Sahel, the Harmattan ravaged shrub land south of Sahara desert. He covers over 2500 miles of utter desolation, travelling through countries (Chad, Niger, Nigeria, Mali, Senegal) plagued by drought, abject poverty, disease, various forms of extremism and religious and ethnic wars. 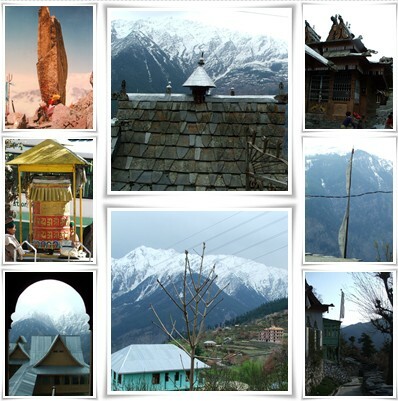 The terrain is dangerous and inhospitable, circumstances exiguous. Yet Africans are generous, affectionate and welcoming, willing to share their meager supply of food and shelter with him. Tayler is understanding and non judgmental in his views except when he encounters arcane traditions of slavery and infibulations, and rightly so. His language is evocative, almost poetic when it comes to describing nature. The book reaffirms our impression of an Africa in dire straits with little hope of improvement in the years ahead. The billions spent in aid are siphoned off by corrupt dictators and their cohorts with little of it reaching the needy. Since most governments are propped up by western aid money rather than tax from the people, they do precious little to improve the lot of the citizens. Tayler places the historical responsibility of Africa’s current predicament squarely on Western colonial interests who carved nations and borders according to own administrative and military convenience without regard to the continent’s complex ethnic, religious and tribal identities. Predominantly Muslim, harbouring a sense of humiliation and nurturing strong anti-western sentiments, Africa, according to Tayler, is poised to erupt in terrorist violence. Fascinating and poignant, the book is a must read for those who really wish for an honest, forthright and realistic perspective of the Dark Continent. The Dark Continent – A mirror to our future? When I was a child any mention of Africa conjured up images of ostriches, zebra, wild elephants and vast expanses of savannah. My dad took me to watch the documentary, Beautiful People, which further fuelled my fantasies of Africa. During my teens, I was addicted to the adventures of Tarzan the Ape Man, a magnificent creation of Edgar Rice Burroughs. Later, movies like Gods Must Be Crazy and George of the Jungle cemented my illusions. Those days, I never realized that Africa was undergoing a humanitarian and environmental crisis. The Africa of my imagination, the exotic Africa, existed only in a handful of wildlife reserves like Masai Mara, Serengeti or Kalahari Desert. The rest was in shambles. Africa, once the cradle of man was now his graveyard. 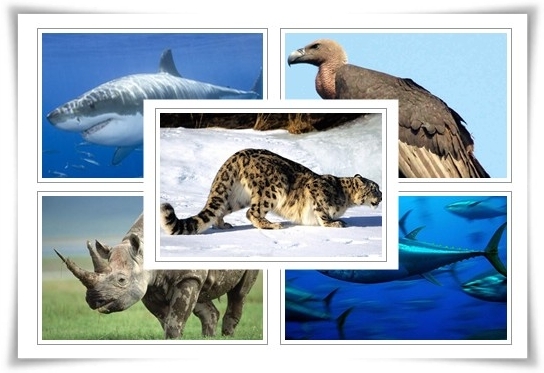 What happened in Africa ages ago, the evolution of man, transformed life on the planet. The dark continent, now lie bleeding at the altar of our indifference. What we witness now in Africa, in my opinion, is a bleak prognostication on the future of the world. Global recession and escalating food prices have dried up food aid to Africa. Recurring droughts have depleted water resources, withered crops and decimated livestock leaving people hungry and severely malnourished. The stark images of Africa, especially those of photojournalist Kevin Carter who committed suicide unable to face the horrors, are heartrending. Although my phantasmagoric images of Africa are shattered, although I am not able to contribute much to alleviate its troubles, the appreciation and admiration I feel for those who have been waging a relentless battle against the pervasive despair and starvation in Africa is boundless. I recently came across an article on Dr André Briend, the French pediatric nutritionist who developed Plumpy’nut, a inexpensive peanut based fortified food which can be fed to severely malnourished children. Plumpy’nut, packed with vital nutrients does not require addition of water making it ideal for Africa where clean water is scarce. Another noticeable innovation which addressed Africa‘s potable water scarcity was LifeSraw, a portable plastic straw designed by Torben Vestergaard Frandsen which made contaminated water drinkable through effective and instant bacteria removal. Josette Sheeran, head of the United Nation’s World Food Programme remarked that “the know-how, the tools and the technology to feed the world” is already available. All we need is an acknowledgement of the plight and a desire to mitigate it. To me Africa is a mirror in which each of us shall soon see ourselves if we continue to callously ignore its predicaments.